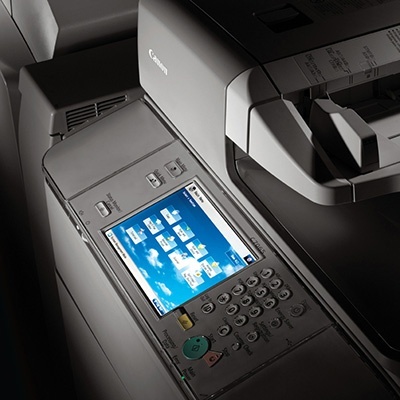 The backbone of any office document workflow strategy – the multifunction copier. The copier is no longer just a copier – it’s a central hub for transforming your business into an efficient machine. With the ability to scan, print, copy, and fax from a single device – singly or as one of a fleet of multifunction devices – copiers are a critical component of a productive office. Whether you’re looking to address the relatively simple needs of a small workgroup or the more complex requirements of a document-intensive enterprise; we are the partner that can help you build the right multifunction printers for your needs. We don’t fit a round color peg into a square black and white hole, we’ll work with you to understand your needs to ensure you acquire the best multifunction printers for you. Together, we can transform your business into a powerhouse of productivity with the right mix of the right equipment with the right speed, functionality, and dependability put into action with the right strategy. Our digital multifunction printers are built using technology from Canon one of the premier providers of office equipment in the world. Multifunction Printers (copiers) combine the capabilities of a copier, printer, fax machine, and/or scanner in one convenient device, allowing for print asset consolidation and noteworthy cost reduction. We offer a network-ready range of black & white Canon copiers from 15 to 100 pages per minute (ppm). This wide range of speeds allows us to provide office equipment solutions for both workgroup and light production environments. (We also offer production print devices with speeds greater than 100 ppm). For businesses where color is required, Datamax offers remarkable color copiers as well. High-Quality Output: Copy, scan, and print black & white or business color documents with exceptional image quality and output them with professional finishing options. Efficiency and Productivity: Advanced print engine technology allows for increased speed, power, and functionality, and touch screen display panels offer ease-of-use for end-users. Scalability: Create custom embedded applications/interfaces and streamline workflow productivity for users. Document Sharing: Create, store, and easily distribute scanned documents to email, FTP, network folder, fax, etc. Internet-Readiness: Browse the Web and print Web content from the convenience of the device display panel. Security and Accessibility: Advanced security features protect data and accessibility options ensure access to all users. Device Management Tools and Utilities: Remotely check device status, monitor paper and toner levels, track the progress of print jobs, and more. All Datamax digital multifunction printers and copiers in Dallas and Fort Worth are backed with our MaxCare service and support agreements that guarantee performance in order to ensure our clients’ complete satisfaction and peace of mind. Contact us to learn more about our Dallas inventory of multifunction printers and copiers in and how we can help make your office more efficient and help you maximize your communications. By using document workflow software in concert with your MFP, companies can achieve a 50% reduction in time spent distributing, filing, locating, and retrieving information contained in paper documents.